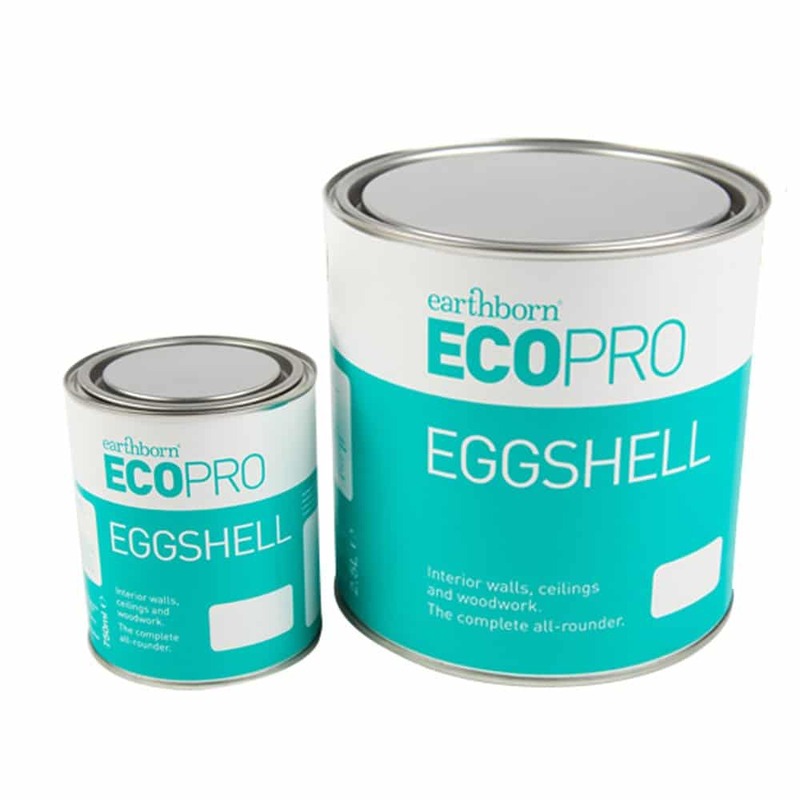 Earthborn EcoPro Eggshell is a trade paint which is a low odour, environmentally sound alternative to conventional eggshell and is available in the full BS4800 colour range. Earthborn Ecopro Eggshell dries to an attractive sheen finish that provides durability, washability and scuff resistance – but with the added benefit of being a true eco paint. The unique formulation is totally oil and acrylic free, with minimal VOCs. This results in a breathable, high performance product. Suitable for use on interior walls, ceilings and woodwork, it’s the complete all-rounder. For applications where a primer is required, Earthborn EcoPro Matt Emulsion can be used. The Earthborn EcoPro eggshells are available in the full BS4800 colour range. A PDF is available below or please contact us for a colour chart.